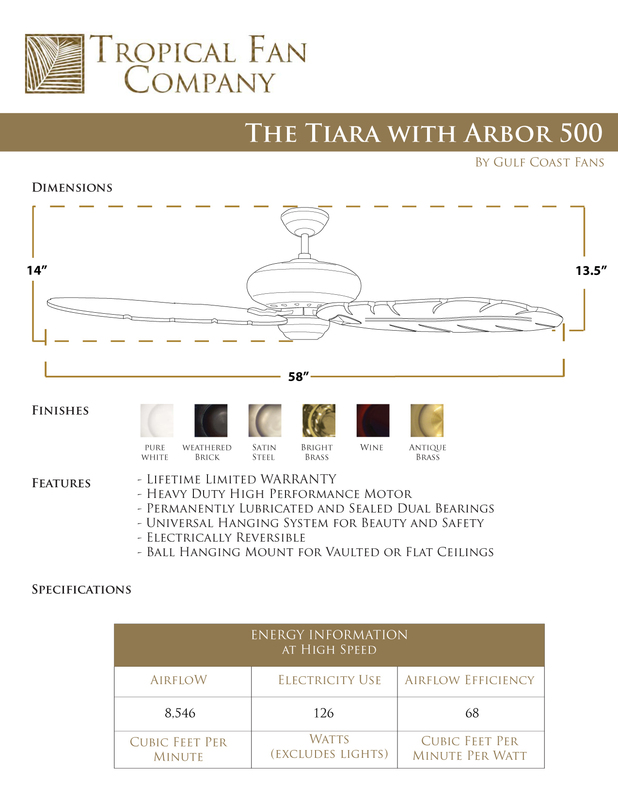 The Tiara Tropical Ceiling Fan with 58" Arbor 500 Carved Wood Blades has a unique appearance is only one of the things that set this fan apart from the rest. Featuring the largest motor in the industry, this powerhouse is one of the best air-movers around. 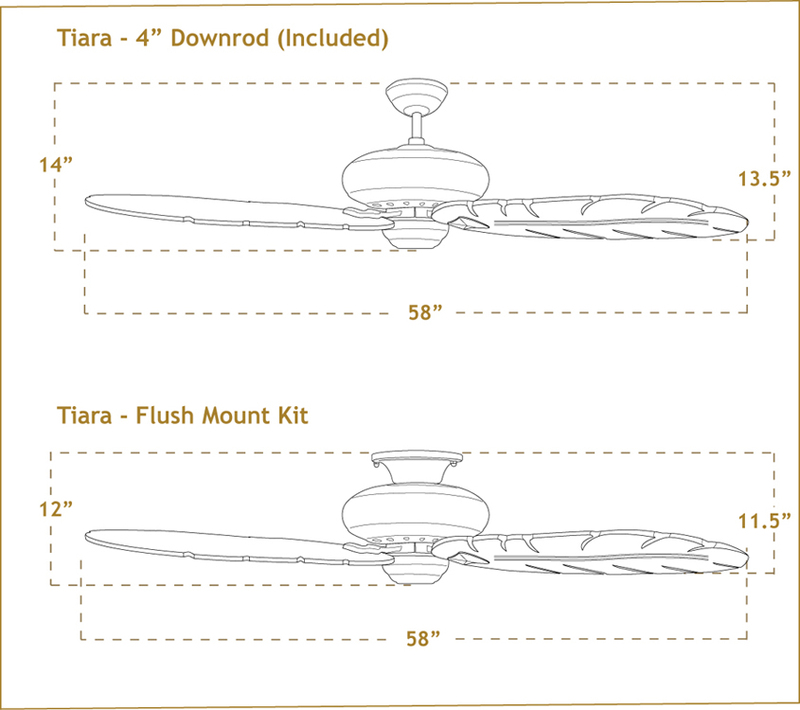 The Tiara is offered in Antique Brass, Pure White, Satin Steel, Weathered Brick (Oil Rubbed Bronze) or Wine. 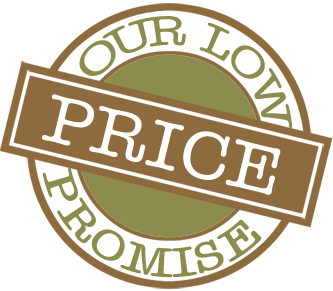 The Arbor 500 Blades are solid carved wood blades perfect for to complement any tropical decor.